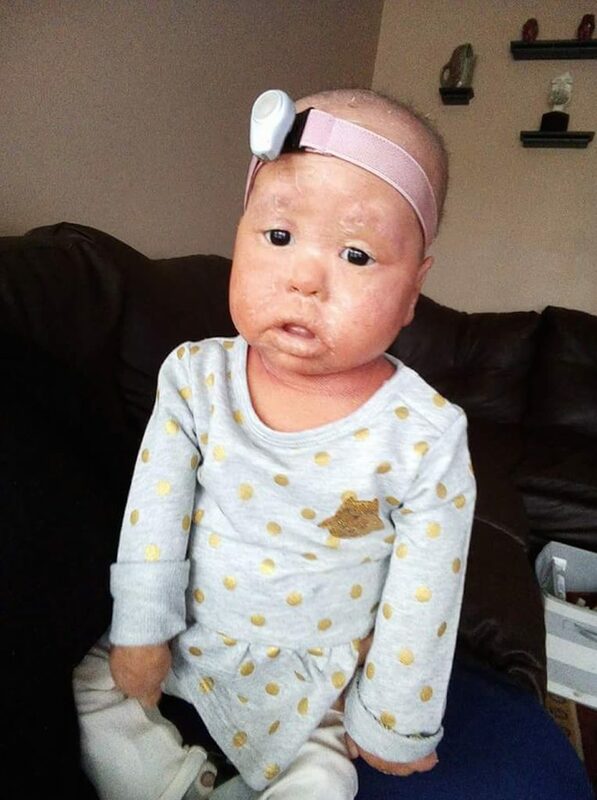 Twins with an ultra-rare condition that affects 77 people worldwide are battling their burning and itchy scale-like skin together. 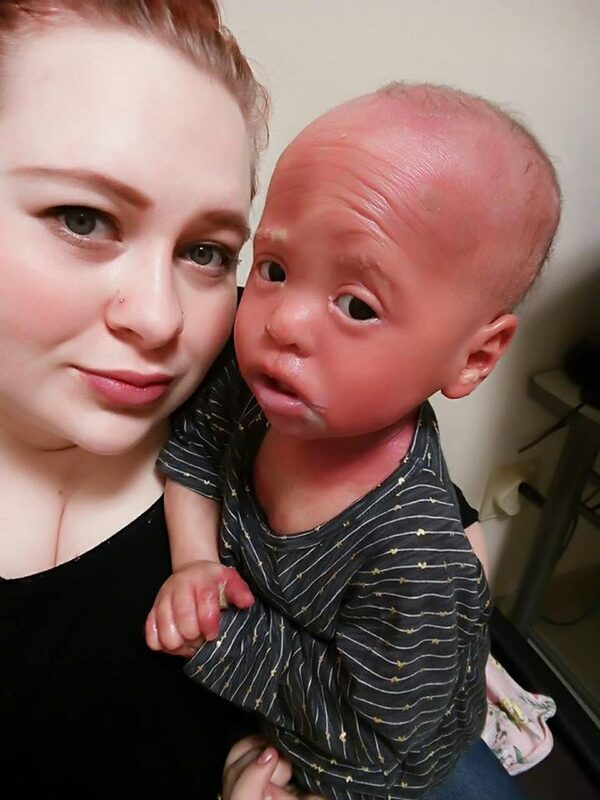 Addy and Lola Tomori, 18 months old, of Milwaukee, Wisconsin, USA, suffer from Olmsted Syndrome, a gene mutation that causes overdevelopment of the skin. Since they were two weeks old, the babies have been plagued by itchy skin, callouses all over their body and lack of hair growth. The excess development of the skin also causes them difficulties with movements. Lola cannot walk or use her hands properly and Addy suffers from moderate to severe hearing loss due to the build-up of skin around each ear. While in public, strangers have whispered comments accusing the parents of abuse and thought they were burn survivors. Others have questioned why their mother Noelle, 27, didn’t abandon the girls at the hospital and believe they must have no quality of life with such a torturous condition. 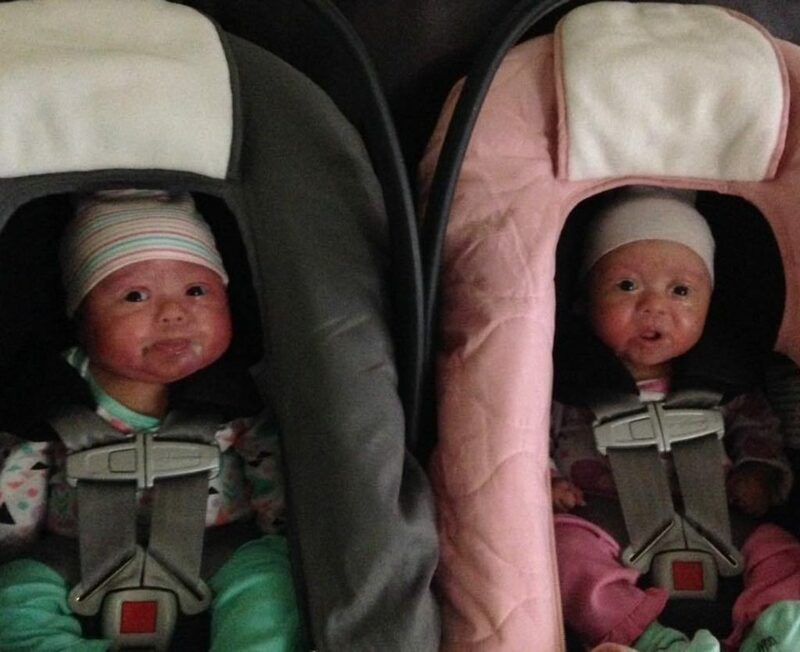 She treats the identical twins up to 16 times a day with six creams and three different oral medications. Noelle, 27, said: “The skin develops more than everyone else’s and they can get calluses anywhere. “It is so uncomfortable for them. Even though it only affects their skin, it causes so many other problems. “Addy cannot walk because of the condition. We are hoping that she will get there soon. “They don’t grow much hair on their heads and the little bits that they do falls out. “People don’t know how to ask questions politely and that is one of the most frustrating things. “I don’t even answer when people say something ignorant or ask offensive questions. The twins see physical and occupational therapists who help them with their limited movement. 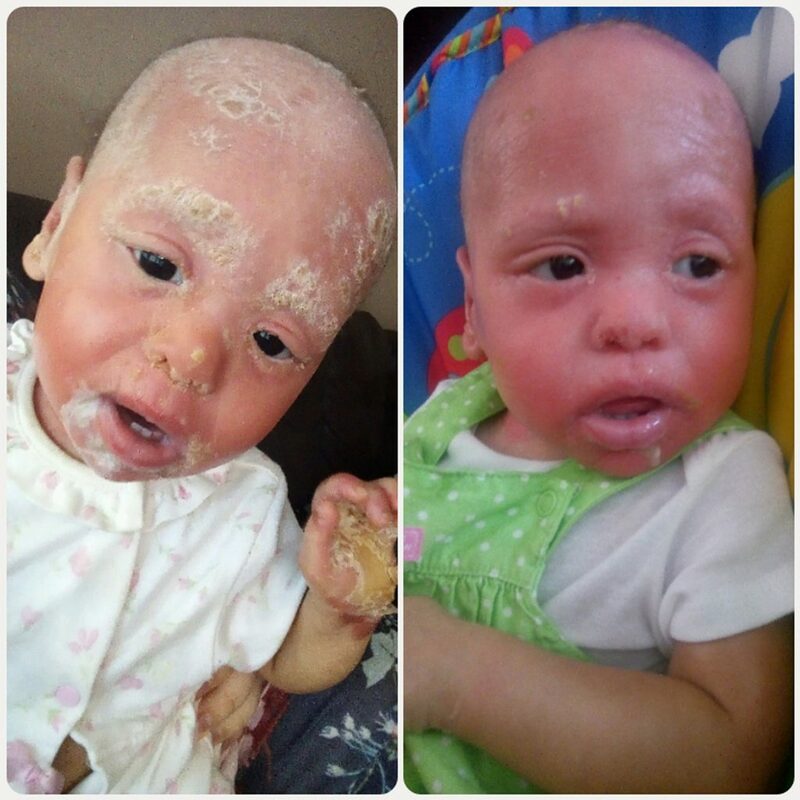 Lola also had a surgery last week to remove clumps of callouses from her hands and feet. But for the itching, at present, there is nothing else that Noelle and her husband Femi, can do. She said: “These medications are really the only options we have right now. It’s a constant chase. Since they’ve already been through so much as babies, Noelle and Femi worry about what the future has in store for their girls. One thing in particular that concerns them is their weak immune systems that can cause them to become very ill from something as simple as a common cold. Noelle said: “We’ve already talked about getting them wigs when they get older. Dr. Whitney High, director of Dermatology at University of Denver School of Medicine, says there is no ideal treatment for Olmsted Syndrome. She said: “Therapy is typically difficult. To reduce scaling, one uses white petrolatum, keratolytics that thin the dry flaking skin and topical or oral forms of Vitamin A. “Painkillers like topical lidocaine can be effective, but sometimes oral pain relievers are needed for thick skin that cracks. Prolonged soaking of the affected parts in cold water may reduce pain. Dr. Whitney added: “Mutations in the gene TRPV3 or MBTPS2 are believed to cause the disease.